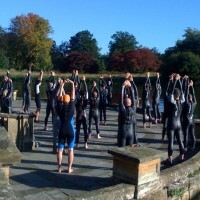 thetrilife.com is the largest provider of triathlon coaching services in the UK, able to deliver 5 x BTF level 3 coaches. Our coaches have exceptional, world class experience and include Richard Jones, Dan Salcedo, Bill Black and Andrea Whitcombe. To support our experienced coaches we educate and develop our own coaching team and have a team of 10 BTF level 2 and 1 coaches that coach with our senior team on a regular basis. In addition, the resources available to thetrilife.com include sports psychologists, sports scientists, and former pro-cyclist Sean Yates. thetrilife.com is the official coaching partner to Castle Triathlon Series events. thetrilife.com delivers coaching services at training days tailored to the specific requirements of the client, location and skill level/fitness level of the attending athletes. Above all thetrilife.com strives to deliver the highest quality knowledge in a fun and safe environment while allowing our own passion for triathlon to encourage and inspire your athletes. thetrilife.com enjoys coaching athletes of all abilities. For those that are new to triathlon our goal is to give them a positive experience, and the confidence to “dive” into their new sport. At the other end of the scale, for example those who are experienced Ironmen, we aim to deliver innovative and leading-edge information. At thetrilife.com our belief is that triathlon is a sport for everyone. If your club or organisation have a triathlon training requirement please do call us on 07791 289792 to discuss your plans.